One of the most exciting and important events in the life of a prospective band student is when he or she selects the instrument they are going to play. There are many factors that influence a student’s decision such as the availability of an instrument. These include the popularity of an instrument, parental preference, peer pressure, perceived musical opportunities, and band director needs and suggestions. A half century ago, many prospective band students wanted to play the trombone like Glenn Miller or the clarinet like Benny Goodman. The flute became extremely popular in the seventies when the rock band Jethro Tull’s lead performer, Ian Anderson, played the flute. The soprano saxophone once grew in favor due, in part, to Kenny G’s popularity. Popular tastes aside, it is critical that each child’s musical potential and individual differences be identified and that the information be utilized in the recruiting process, the instrument selection process, and later in the teaching process. 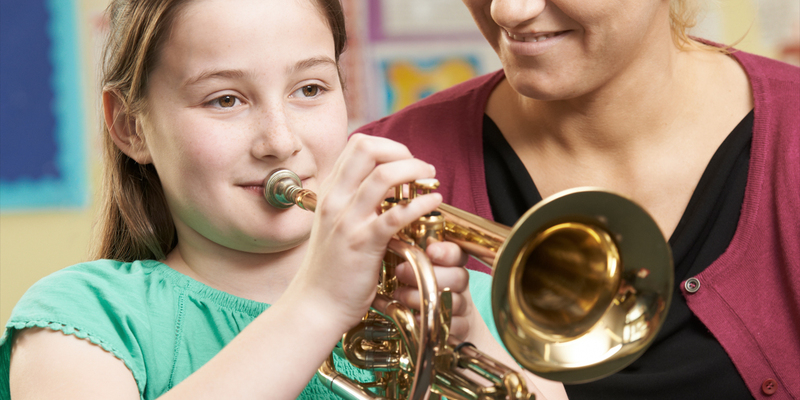 Due to the importance of the student’s instrument selection, every effort should be made by the teacher to identify and communicate the student’s unique characteristics to the student and his or her parents/guardians to assist them in the instrument selection process. Besides embouchure formation, little information has been provided to the prospective band student to assist them in making their instrument selection. Informal research, gained by surveying former and current band members, has revealed that there are numerous factors and principles that will assist the student in the instrument selection process. To give each prospective student the best and most helpful information, consider developing a recruitment program based on the following eight principles. A description of these texts and their suitability can be found in Measurement and Evaluation of Musical Experiences by Boyle and Radocy, published by Schirmer Books. While high marks on an aptitude test are an asset for any instrument, certain instruments require that a student receive high marks in order to be successful on that instrument. Students preferences for specific timbres can easily be determined. To do so, demonstrate the band instruments (out of view) and ask students to identify their favorite sounds. There is a substantial correlation between a student’s past academic achievement and successful performance on the more difficult band instruments. To assist the band director in obtaining this information distribute the form found on page 538 of the Standard of Excellence Book 1, Conductor’s Score and ask the classroom teacher to fill out the form for each student. This form asks other classroom teachers to evaluate students on a variety of criteria including scholastic capabilities, discipline, cooperation, and others. Some pertinent physical characteristics include arm and finger size, lip and teeth structure, and stature. Students who want to play either flute or trombone should have an arm length of at least 19 inches (measured from armpit to first knuckle on their fingers.) Students whose arm length is shorter than 19” may still play either the flute or the trombone if they use a curved headjoint flute or a trombone with an F attachment. Finger size is similarly important. Clarinet players must have finger pads large enough to completely cover the tone holes and rings. To test for this, draw a circle 7/16 inch in diameter and ask the students press their fingers on the circle to determine if their fingers can completely cover the hole. Another way to assess this is to have the prospective clarinet player firmly press their fingers on the tone holes of the clarinet and see if there is a complete circle of indentation on their finger pads. The form provided on page 535 of the Standard of Excellence Book 1, Conductor’s Score offers more details and provides band directors with a means to obtain this information as well as other data that can assist in the consideration of instrument selection. Knowing parental and family preferences is a crucial consideration in the selection of a child’s musical instrument. Having families complete a short survey at a parent meeting is a great way to learn their preferences, what instruments they own, as well as give you an idea of the kind of support family members can provide. Such a form can be found on page 539 of the Standard of Excellence Book 1, Conductor’s Score. The type of music that a student hears at school and at home is also a consideration. This information can also be gathered in the same parent meeting survey described in #6 above. Some instruments require a student to have a more confident or outgoing personality. Those instruments include oboe, trumpet, and percussion. Obtaining the information identified in these principles and communicating them to the student’s parents/guardians, preferably in a private meeting, will assist each family in making a wise instrument choice. Taking this extra time now can help each child to become successful, enjoy music-making, and remain a committed band member. You will enjoy the benefits for years, and the student may benefit for a lifetime. 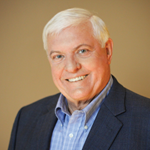 Dr. Bruce Pearson is an internationally recognized music educator, author, composer, clinician, and conductor. His newest band method, Tradition of Excellence, offers the most advanced interactive curriculum that is second-to-none. His best-selling band method, Standard of Excellence, has provided a solid foundation for scores of music education programs around the world. His extensive correlated repertoire has helped music educators expand their programs to reinforce learning through performance. Additionally, Bruce Pearson personally imparts his 30+ years of experience to music educators through no-cost clinics designed to improve, invigorate and enhance music programs. View his website for a full bio and visit Neil A. Kjos Company to see a list of retailers offering Bruce’s books and sheet music.